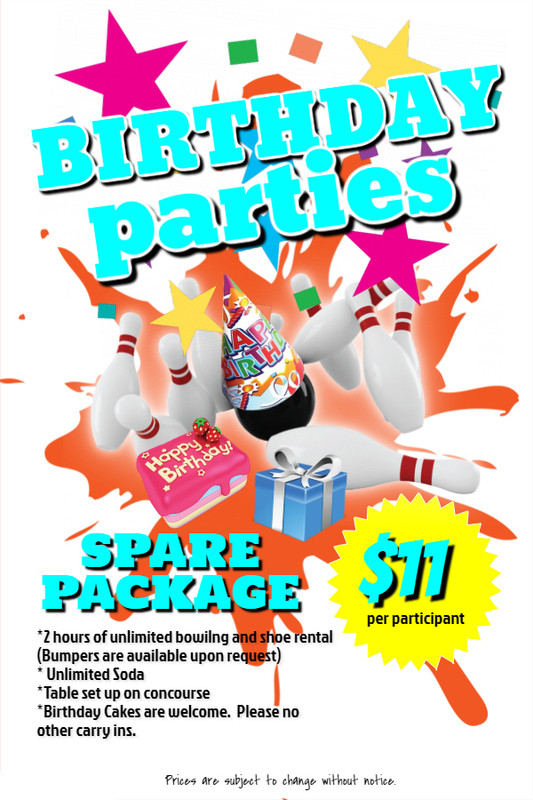 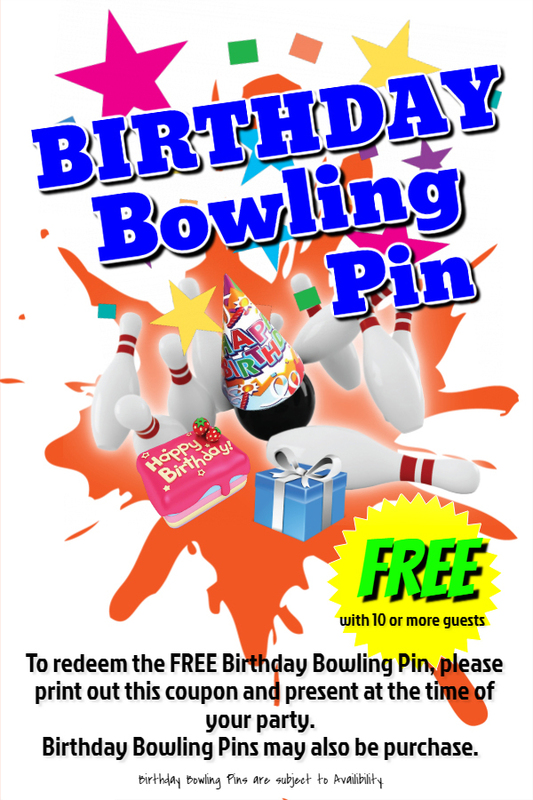 Kids love the fun of bowling with their friends, so what better way to help them celebrate their special day than hosting a bowling party at Willow Creek Lanes! 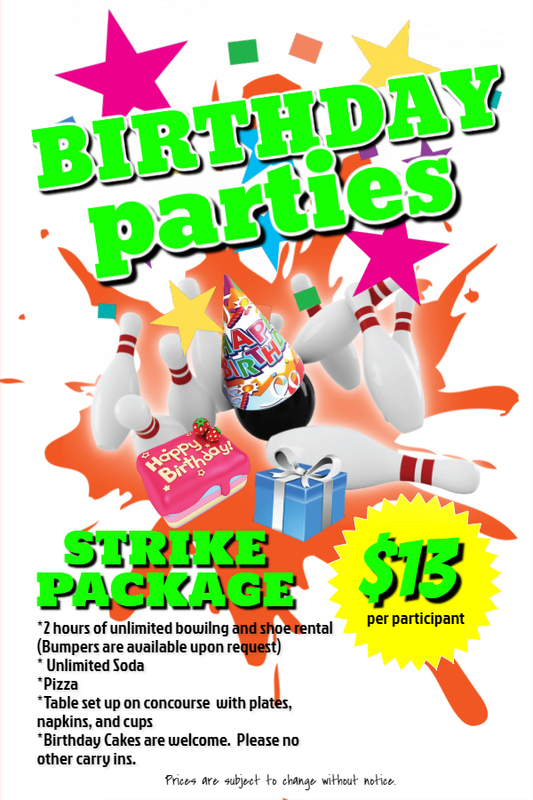 We provide a clean family friendly atmosphere and take a lot of work off of you so that you can enjoy your child’s day! 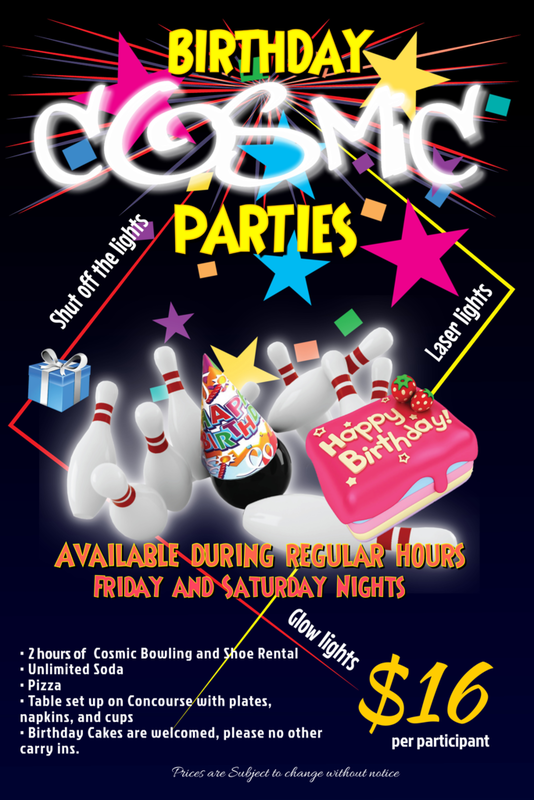 There is no need for cleaning pre and post-party, or entertaining their guests, we take care of all of that for you!